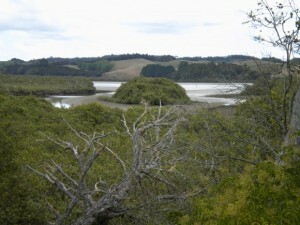 On the 26 February the whole middle school went for a walk around the Mahurangi River. When we got to the river we had a break. After the break it was my turn with the camera. I only got to take about ten photo’s because the battery went flat. Then Mitchell, Ethan and I picked up rubbish. There were more beer cans than anything else. When we got to the end we saw a boat. On the way back we went passed the boat yard and we found even more cans. We even found a plastic bag and a lemonade bottle and an old sock that we didn’t pick it up. When we were nearly back we could see the roof of the classroom. When we got back to school we had lost two of the teachers. By the time we got there I think everyone had a empty drink bottle. Sounds like an eventful walk. Well done on picking up rubbish – you are tidy Kiwi’s! I hope you found the 2 teachers again that you’d lost!!! that sounds fun I wish I came!!!!!!!!!!!!!!!!!!!!!!!!!!!!!!!!!!!!!!!!!!!!!!!!! What a great adventure you had. What are you studying for inquiry? sounds cool I wish I came it would be a awesome aventure!